I have been critical of the treatment of technology in both the 2015 and 2016 Education Next back-to-school polls for a variety of reasons, including sloppiness in reporting, bias, and lack of relevance to education policy and practice considerations. Among other issues, the authors of those polls suffered from trying to make too much of the single (questionably framed) technology-related question they fielded. Credit where it is due: the 2017 EdNext Poll on School Reform expanded coverage of the topic – including 4 items on ‘digital learning’ this year (2 answered by the full sample and 2 split A/B questions asked of half of the sample each) – and while not perfect is much improved. Teachers seem to be strong proponents of equity of access to technology in high school classrooms for educational purposes. They are more likely to support allowing high school students to use their own smart phones in the classroom for educational purposes (44 percent strongly or somewhat support) than parents (33 percent support) or the general population (26 percent support). 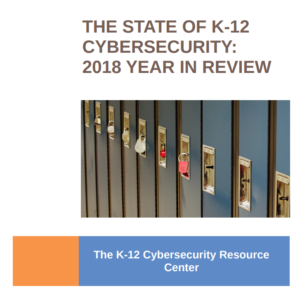 They also are more likely to support school-provided laptops for high school student use in the classroom for educational purposes (83 percent strongly or somewhat support) than parents (77 percent) or the general population (68 percent). Yet, teachers appear skeptical of the effect of more technology use during class time on high school student learning. Over four in ten (42 percent) teachers report that more class time in high school spent using computers or other digital devices is likely to result in somewhat or strongly negative effects on student learning. In contrast, just over one-third of parents and the general populations believe that more high school classroom use of technology would negatively affect learning. Note that the same percentage of teachers expect positive learning outcomes from using technology more in the classroom (42 percent) as expect negative outcomes. This seems clearly an area for further investigation, including whether this pattern of beliefs is consistent at the PreK, elementary, and middle school levels. Republicans appear to be more negative in their views about increased technology use in the high school classroom than Democrats. Democrats are 10 percentage points more likely than Republicans (49 vs. 39 percent) to believe that more technology use in the high school classroom will lead to improved student learning, and Republicans are 10 percentage points more likely to believe that more technology use in the high school classroom will lead to negative learning outcomes (41 vs. 31 percent). As I remarked about both the 2015 and 2016 polls as well, the 2017 EdNext poll suggests a racial/ethnic component to the public’s views about the desirability of using technology in high school classrooms. Black, Non-Hispanic respondents to this year’s poll were the most likely to report believing that increased technology use in the high school classroom would generally have a strongly or somewhat positive effect on student learning (51 percent) as compared to Hispanics (47 percent) and White, Non-Hispanics (42 percent). In contrast, Black, Non-Hispanic respondents were least likely to report believing that increased technology use in the high school classroom would lead to negative learning outcomes (26 percent) as compared to Hispanics (36 percent) and White, Non-Hispanics (37 percent). Given the focus on equity in policy conversations about digital and personalized learning, it is long past due time for more nuanced research and polling to shed light on these differences. The racial/ethnic differences in poll results are persistent over the last several years and appear to reflect real and important differences in experiences and attitudes about technology use in high schools. Other items asked by the 2017 EdNext Poll on School Reform focus on attitudes about online course taking by high school students – under what circumstances students should be able to take online courses and the extent to which online courses should be able to be substituted for in-person courses in high school. While I think these items are of marginal value in the grand scheme of the education policy dialogue, I concede it is a topic that has captured the imagination of a faction of the school reform movement. One can only hope that research on online learning quality is attended to in those debates. Nevada doubles down on its (modest) statewide 1:1 program. What will this mean for Nevada students?